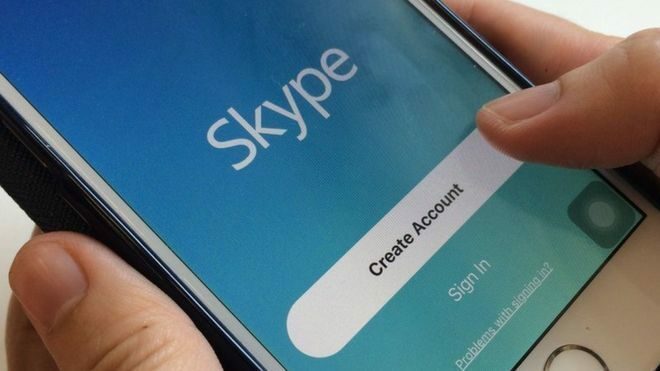 Skype’s call and messaging service has been removed from app stores in China, including the Apple app store. Skype owner Microsoft told the BBC the app had been “temporarily removed” and the company was “working to reinstate the app as soon as possible”. In July, creators disapproved when the tech giant took down more than 60 virtual private networks (VPNs) which circumvent China’s internet firewall because it was “legally required to remove them” under Chinese regulations. In a letter to two US senators, the firm said it had been “ordered” to remove specific VPN apps even though it “questioned the legal basis of the request”. Correspondents say that Skype, when downloaded from outside China’s firewall, has been seen as a semi-secure way of discussing sensitive topics away from the eyes and ears of China’s state security. Skype is just the latest in a string of foreign owned digital and internet platforms – including Alphabet’s Google, Facebook and Twitter – which have become unavailable to Chinese users. Editor’s Comment: While some news organizations would like to paint this action by China as one of limiting civil liberties and freedoms, one needs to realize that in western countries where money and politics rule instead of laws, companies working independently and in conjunction with governments use apps/software like this to invade citizens privacy and rights and get away with it because the governments stand to gain from such illegal and shady doings that many of the giant tech companies undertake.